Do Contracts Need to Be Notarized or Witnessed? When signing an agreement, business owners may sometimes wonder, "does my contract need to be notarized or witnessed?" The short answer is generally no: Business contracts typically don't need to be notarized or witnessed in order to be legally binding. There are, however, several good reasons to consider having a contract notarized or witnessed. What Good Is Notarizing a Contract? A notary can play an important role in making sure that a contract is legally enforceable, even if notarization isn't necessary. Just like wills, there is generally no requirement that a contract be notarized in order to be legally binding. However, if a party who signed a business agreement decides to dispute that agreement in court, a notarized contract can help a great deal. Notary publics serve an important function by verifying the identity of someone who signs an agreement and attesting to that person's signature. Notarization can prove that a party who objects to the agreement was indeed the person who signed the contract. Since this would only apply in the case of written contracts, a notarized contract could be especially important in agreements that must be in writing. These include real estate sales, wills, debt agreements, and real estate leases for over a year. 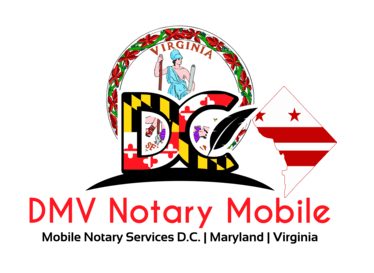 In DC and Maryland, having a notary present when these types of contracts are signed isn't necessary for the contract itself to be legal, but it may come in handy if the contract is ever disputed in court. Like notaries, witnesses aren't generally required in order for a contract to be legally enforceable. However, each state may require special kinds of contracts (e.g., real estate deals, wills, and marriage agreements) to be witnessed by a third party in order to be binding. For example, although not important to most businesses' operations, most states require at least two witnesses to be present for the signing of a will. Employers looking to close a deal on commercial real estate should be aware that some states require deeds or mortgages to be witnessed in order to be recorded by the state or county.